We head up to Hogle Zoo to visit the animals every year for my daughter&apos;s birthday in the spring. Utah’s Hogle Zoo is located at the mouth of Emigration Canyon. The natural terrain covers 42 acres of tree-lined pathways where visitors can view over 800 animals. Back in August 2009, they had their first African elephant born at the zoo. We love going to visit baby Zuri. It is the main highlight for us. The staff at the zoo are fabulous ambassadors of wildlife by providing animals with excellent care. They also are big supporters of conservation, sometimes focusing on single species or working to conserve the ecosystem they live in. That makes a huge difference in a zoo. When you walk through different zoos around the country you can tell which ones are handled with love and care and which ones are not. We also love the giraffe house. You can climb up to the higher level and you are very close to the beautiful giraffes! 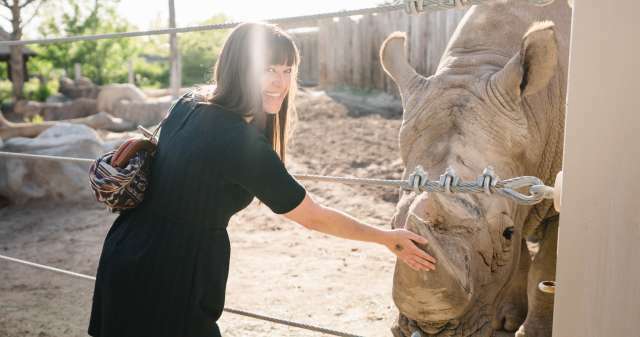 It is always a treat to head on over to Hogle Zoo and I have heard they have great events to attend. This upcoming year I want to try some of them out! Hogle Zoo is located at 2600 East Sunnyside Avenue in Salt Lake City, Utah. Hogle Zoo is a Visit Salt Lake Connect Pass Attraction - includes One Admission.